Well, you should know my Granny. Her name was Geneva Nezelene Day, but she went by Nez. 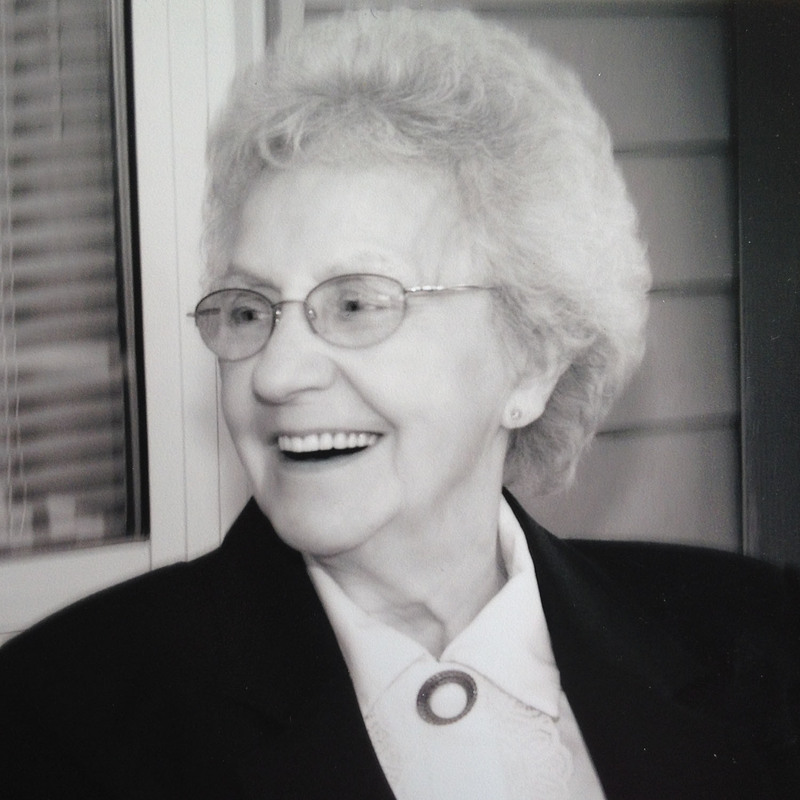 Granny was a generous, fiesty woman who loved to feed people, listen to Bluegrass Gospel, and to quilt. She was not afraid to create and she used what she had. She was humble, loving, and I miss her. I’ve wanted to name a pattern after her for a while now. Once I decided to work up this one, I knew it was the one to bear her name. I think she would carry it, but you never know. She was a little finicky. 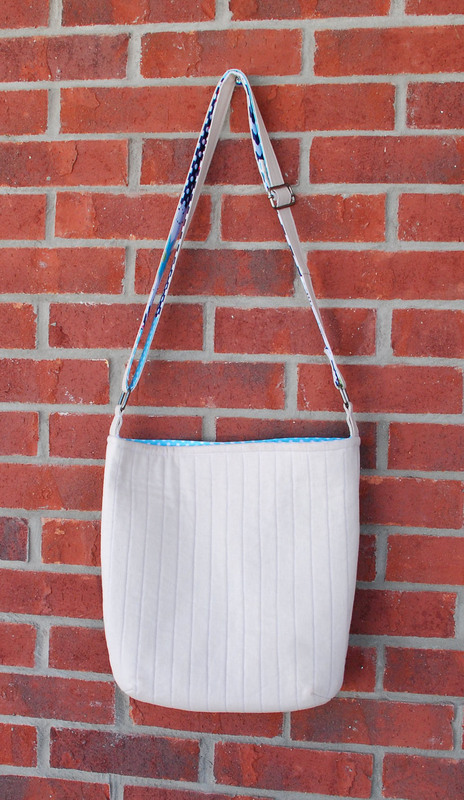 Granny’s Pocketbook is a quilt-as-you-go purse with an adjustable strap that can be worn as a shoulder bag or a cross-body bag. 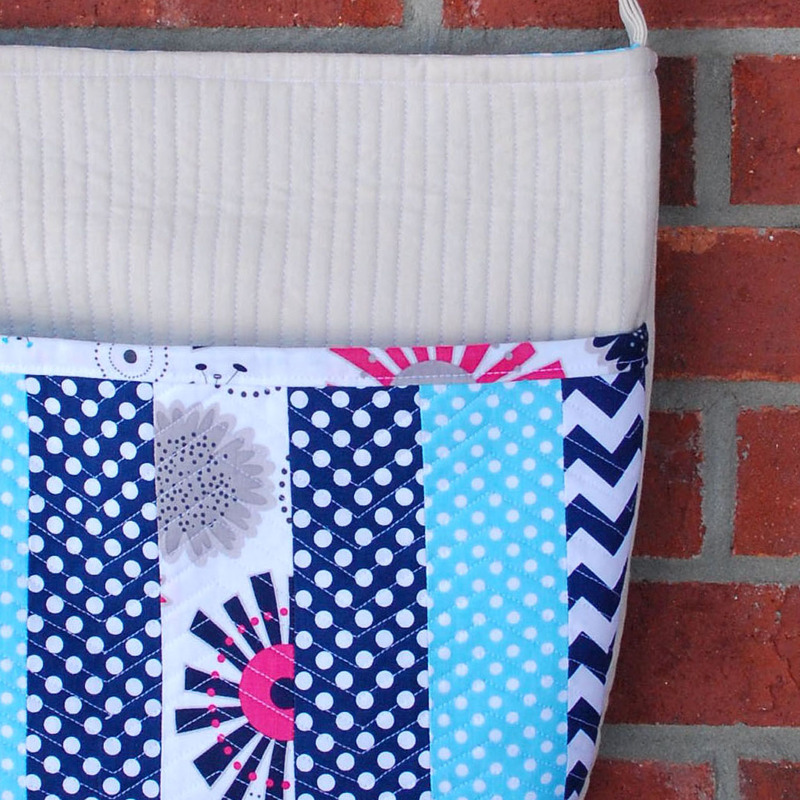 It has one large quilted pocket on the front and 2-4 pockets on the inside. The bag closes with a magnetic snap. The back is a solid piece of fabric which can be quilted however you like. The final measurements of the bag are 13″ x 13″. I chose to make the underside of the strap a little patchy instead of a solid piece. I think it adds a nice pop of color. The strap is about 58″ in length and can be shortened to about 26″. The Granny’s Pocketbook sewing pattern is available as an instant download PDF in my Etsy shop. Run on over and check it out. As always, I love to see what you make. Feel free to post pics on my Facebook page. Tomorrow I’ll be posting about a beautiful fabric line that I’ve had the pleasure of working with. I’m participating in Bonnie of Going Home to Roost’s blog tour for Sweet as Honey, her new fabric line. So, you’uns better come back.